As part of Earth Day 2013, Monday 22nd April 2013, Conservation International’s (CI’s) Chairman and CEO Peter Seligmann took part in a Twitter conservation, where followers had the opportunity to send in their own pressing questions about conservation issues important to them! 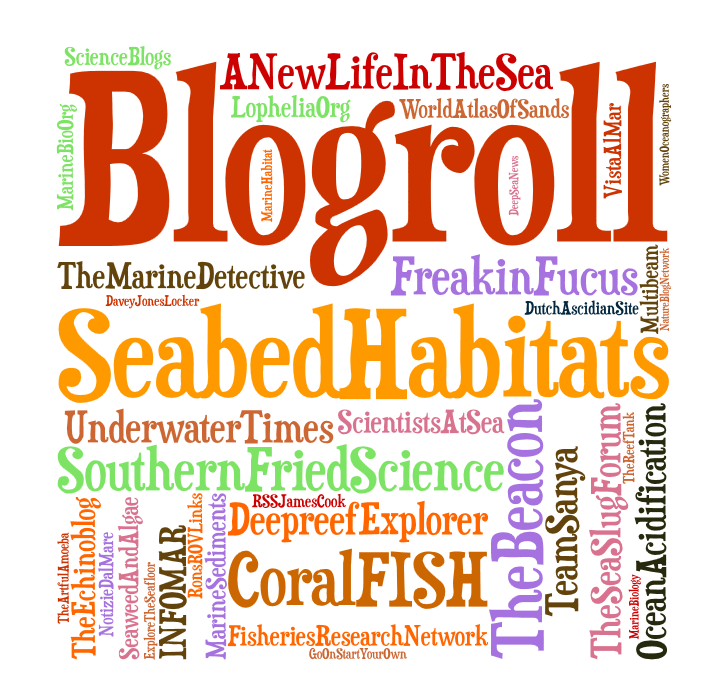 Representing seabed related issues, I decided to ask two questions about rhodoliths and deep sea habitats. 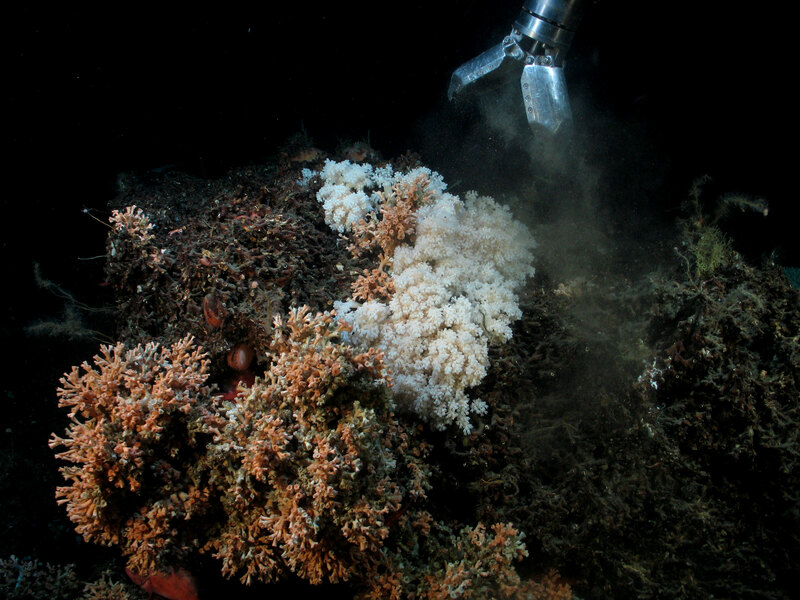 The ICE-CTD research cruise investigated cold water coral reefs and seawater properties around coral and non-coral areas. The objective was to characterise the present and past coral environmental conditions. 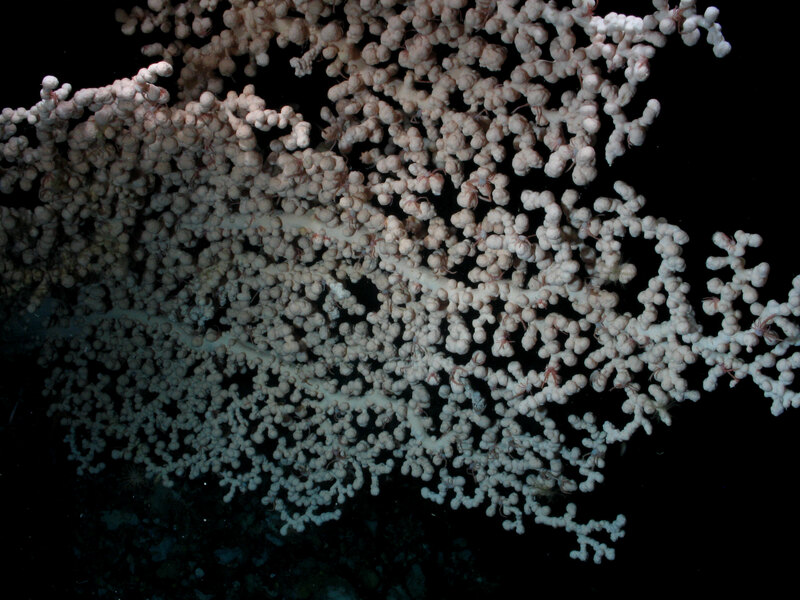 Coral were sampled for dating, geochemical and genetic studies. The GIS Technician’s job mainly involved using ArcGIS to prepare the ROV dive routes and produce maps. They were also in charge of transferring the real-time data and comparing the real-time routes with the planned dive. The ship left Brest on the 11th of June and headed straight to the Icelandic waters. It was initially planned to investigate the Logachev mound province but this was cancelled due to bad weather conditions. 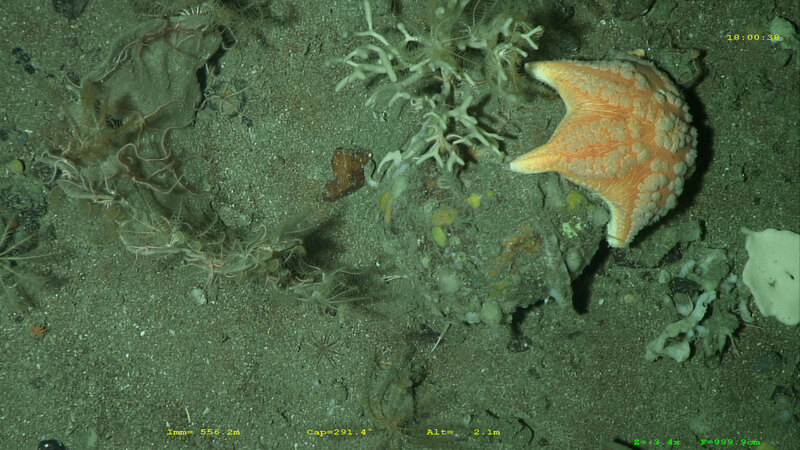 The ROV was deployed in three locations off southern Iceland and coral reefs were found in each area. Included are pictures from some of the spectacular locations discovered. The ship docked in Reykjavík for one night, allowing everyone to scramble off and explore Iceland’s beautiful scenery (geysers, icesheets, the mid-atlantic ridge, waterfalls!). The ROV team left the ship at Iceland and the rest of the team continued down the middle of the Atlantic to the Azores. CTD measurements were taken along the way and ARGOS floats were deployed, but it was a much quieter cruise on the way back. 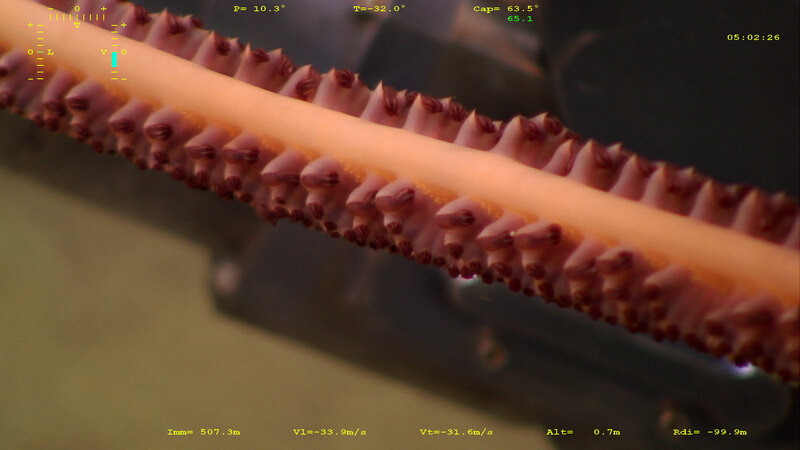 All the pictures are taken by the GENAVIR ROV team and are credited to the following source: ICE-CTD cruise on N/O Thalassa, conducted by the LSCE and IFREMER under the lead of Dr. Norbert Frank, Laboratory for Climate and Environmental Research LSCE. (links: http://www.lsce.ipsl.fr and http://www.ifremer.fr and contact email Norbert.Frank@lsce.ipsl.fr and Sophie.Arnaud@ifremer.fr) and to Fiona Stapleton, National University of Ireland, Galway. 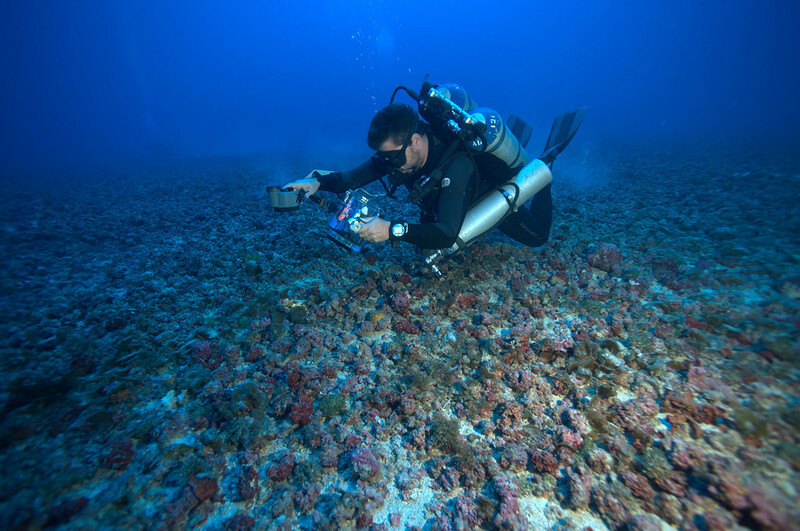 The second in our series of interviews, Dr. Chris Yesson, Institute of Zoology, Zoological Society of London speaks about habitat suitability modelling of cold water corals and his team’s work as part of the CoralFISH FP7 project. He discusses his work the to identify suitable habitats for octocorals and stony corals from the North Atlantic and globally. Interview carried out at the Zoology and Marine Biology Museum, National University of Ireland, Galway. For more information please see the Institute of Zoology, Zoological Society of London website. Special thanks go to Dr. Chris Yesson for permission for inclusion of this interview in this blog. 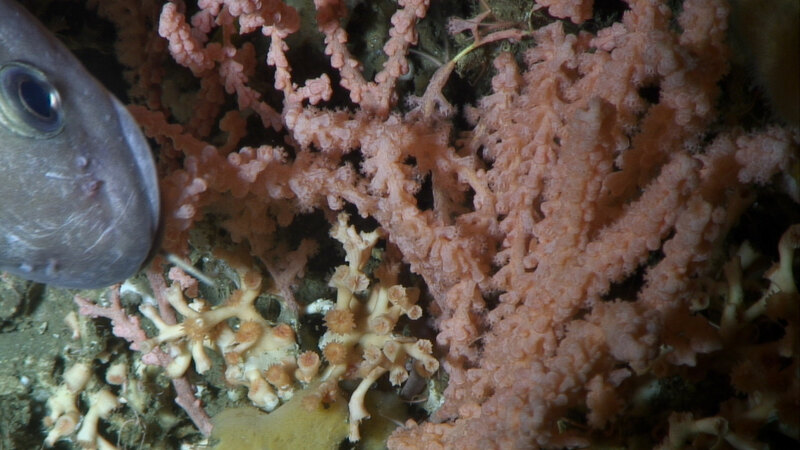 Benthic ecologist Julian Burgos, Marine Research Institute, Iceland, gives us a rare perspective about cold water corals living in Icelandic deep waters and his team’s work as part of the CoralFISH FP7 project. 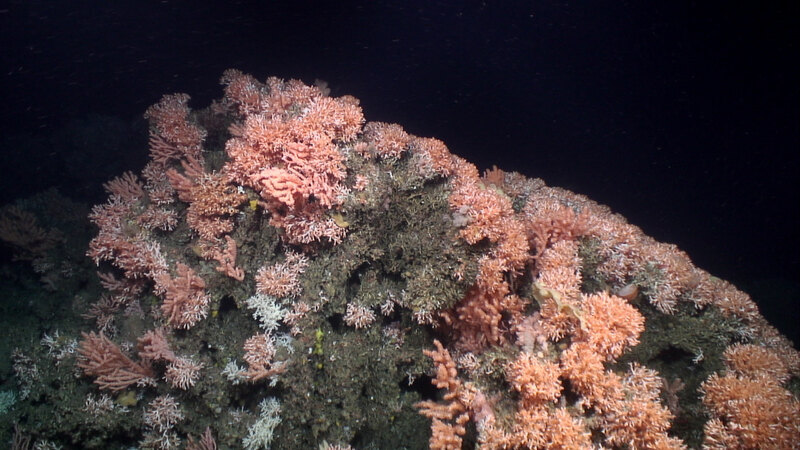 CoralFISH is assessing the interaction between cold water corals, fish and fisheries, in order to develop monitoring and predictive modelling tools for ecosystem based management in the deep waters of Europe and beyond. More information about the findings of the study can be found on the CoralFISH website. Special thanks go to Dr. Julian Burgos for permission for inclusion of this interview in this blog. 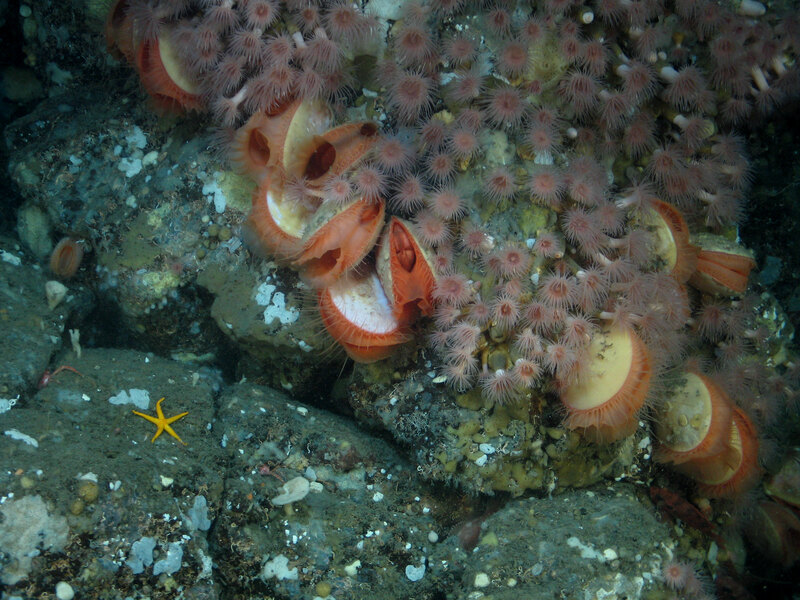 Coral reefs are usually associated with warm, tropical waters and exotic fish, but not with the cold, deep and dark waters of the North Atlantic where corals were regarded as oddities on the seafloor. 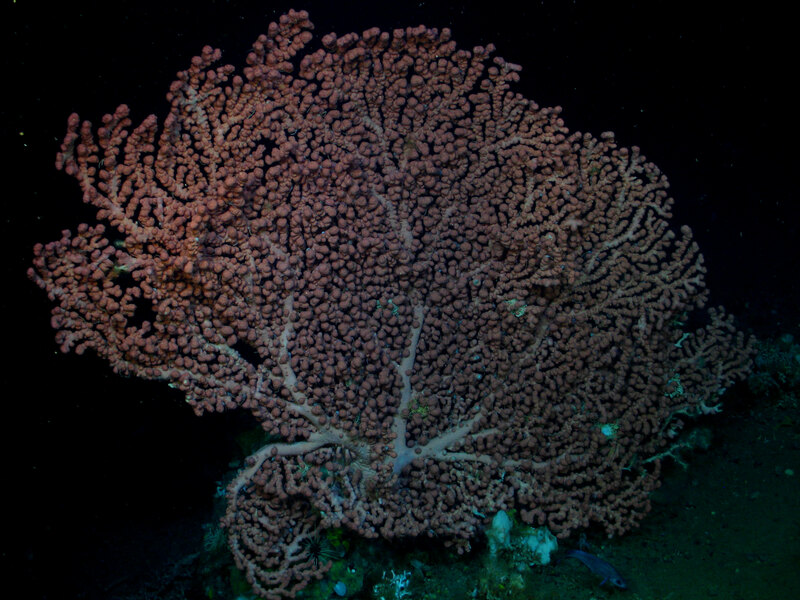 It is now known that cold-water coral species also produce reefs, which may rival their tropical cousins in terms of the species richness of associated marine life. 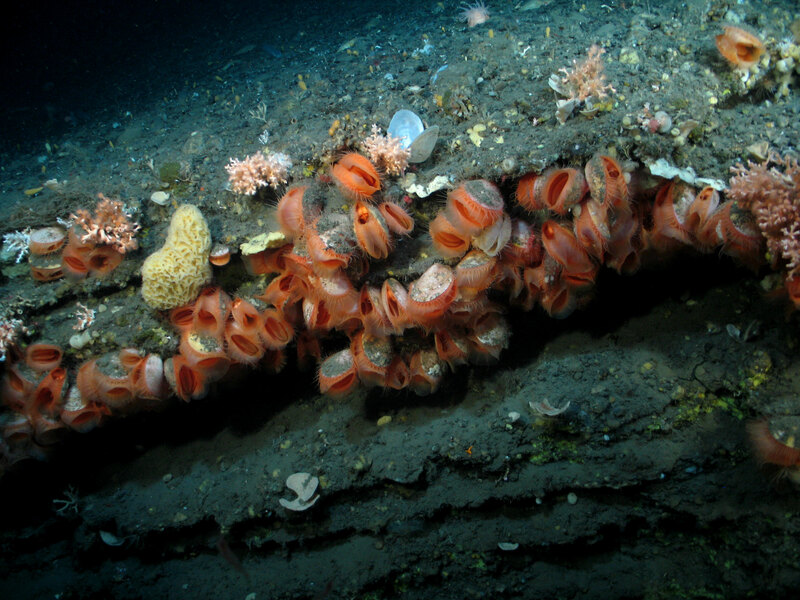 Increasing commercial operations in deep waters, and the use of advanced offshore technology have slowly revealed the true extent of Europe’s hidden coral ecosystems. 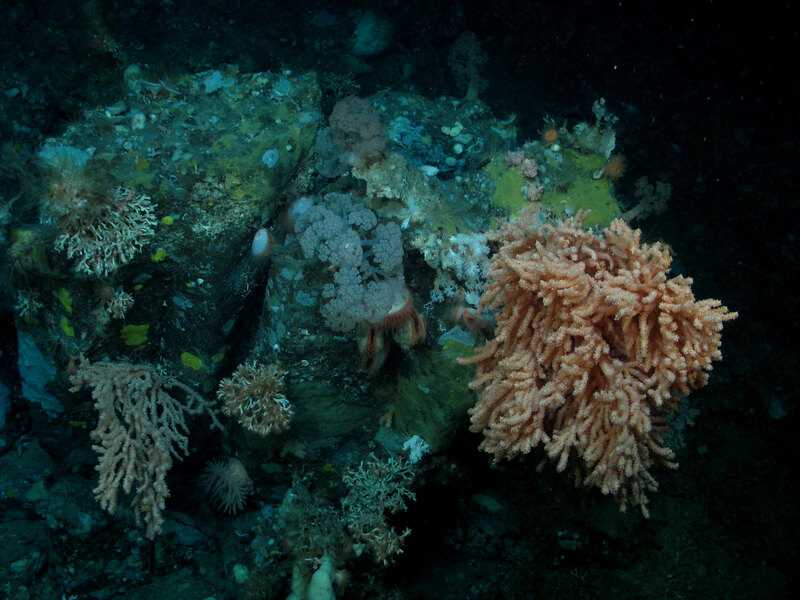 The discovery of extraordinary, 10 km-long chains of the reef-building corals Lophelia pertusa and Madrepora oculata in several hundred metres of water on the Norwegian and Irish Shelves have deeply challenged conventional views. 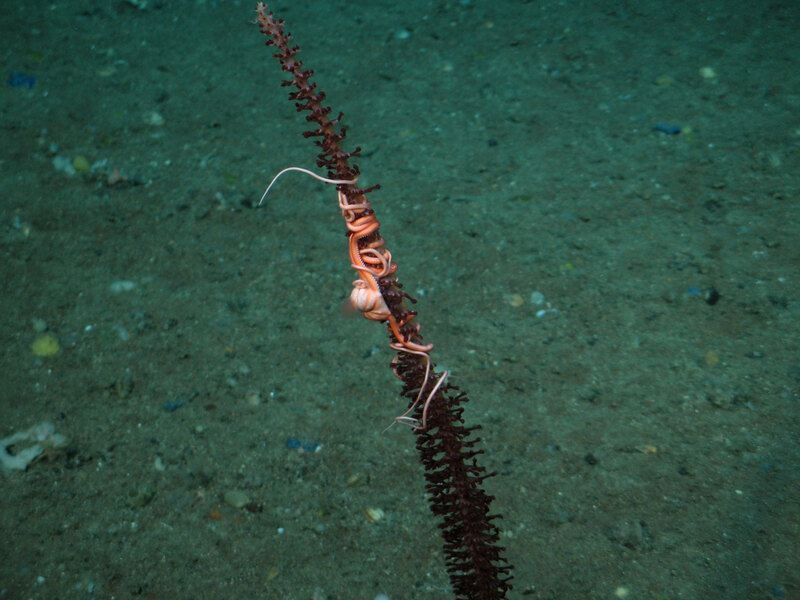 The same coral assemblages are also found associated with large seabed structures in the Porcupine Seabight (offshore Ireland), where they are so abundant that their skeletal remains have, over the millennia, contributed to carbonate mound structures up to 300m high in 700-1200m water depths. 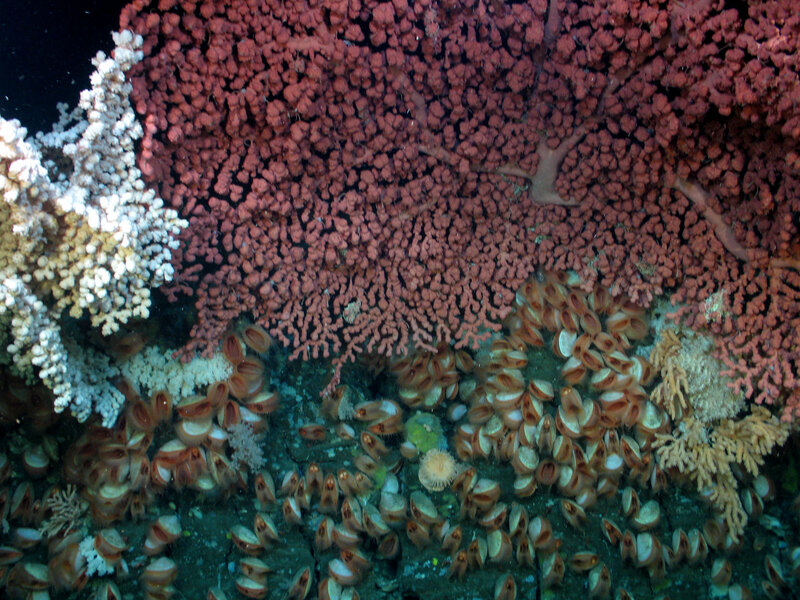 The potential of cold-water corals to contribute to the formation of these large seafloor features and their high biological diversity have attracted considerable public attention through reports in numerous national TV and newspaper features. 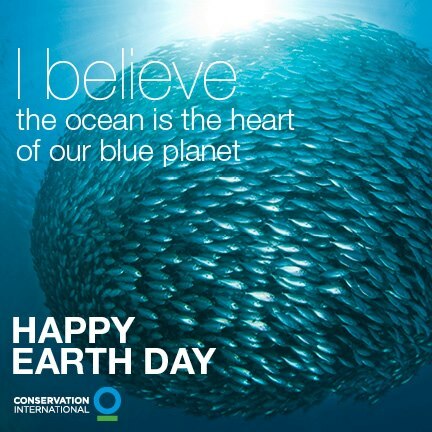 Coinciding with World Oceans Day, Prof. David van Rooij, Renard Centre of Marine Geology (RCMG), Dept. of Geology and Soil Science, Ghent University, Belgium gave a seminar today in Galway, entitled “Go with the flow: Impact of the Mediterranean Outflow Water (MOW) on NE Atlantic sedimentary processes and ecosystems.” The talk particularly focused on the colonisation of Atlantic margins by cold-water corals since the end of the last Ice Age and how variation in the MOW explains the current distribution pattern of carbonate mounds found, for example, in Irish waters. 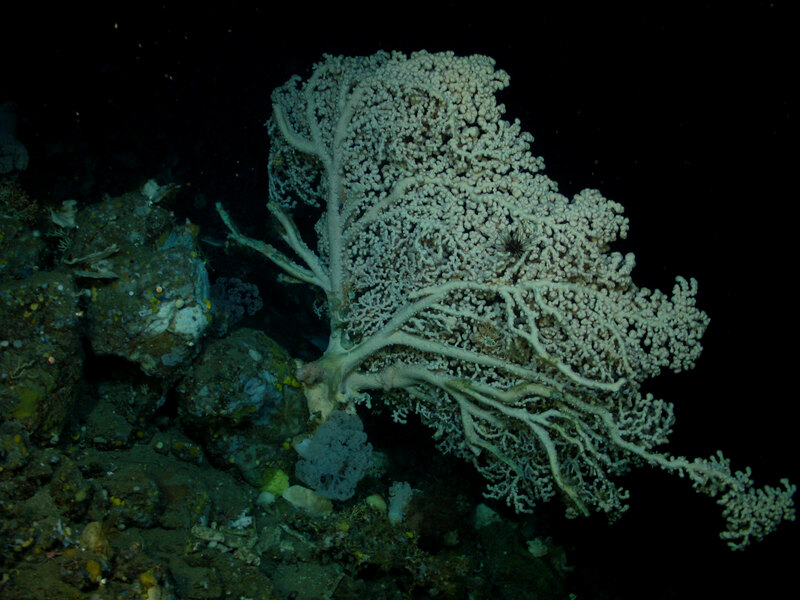 See also the Lophelia.org website for some more background on cold water corals and carbonate mound provinces. Special thanks go to Prof. David van Rooij for permission for inclusion of his seminar in this blog. 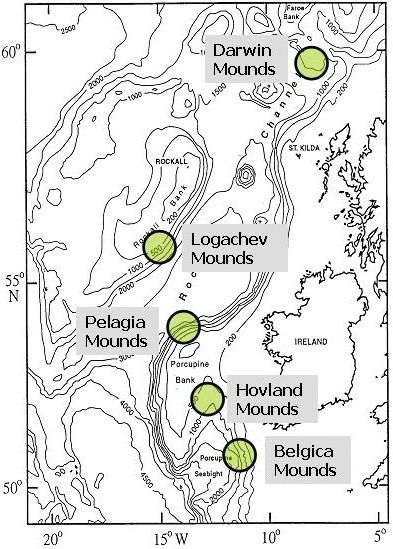 1) Map of some carbonate mound provinces in North East Atlantic, University of Liverpool. Happy St Patrick’s Day to you! 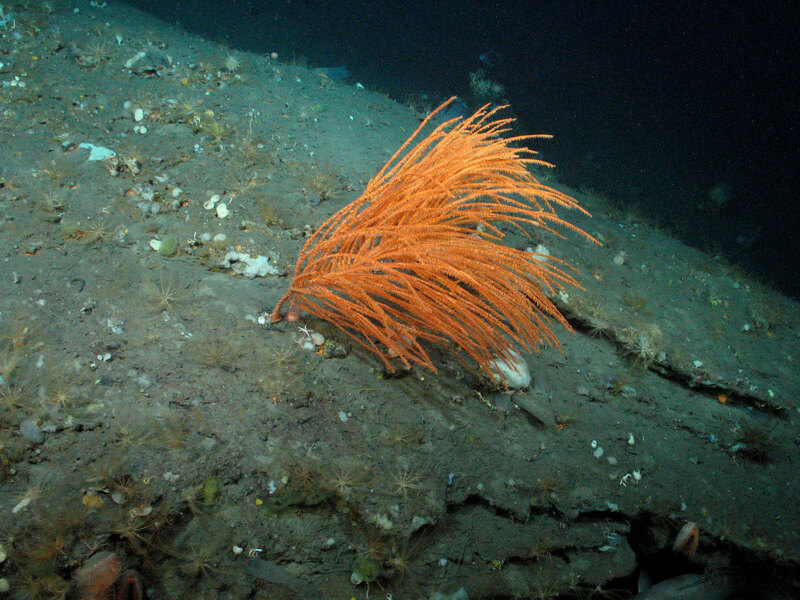 Enjoy this video of Irish cold water corals.